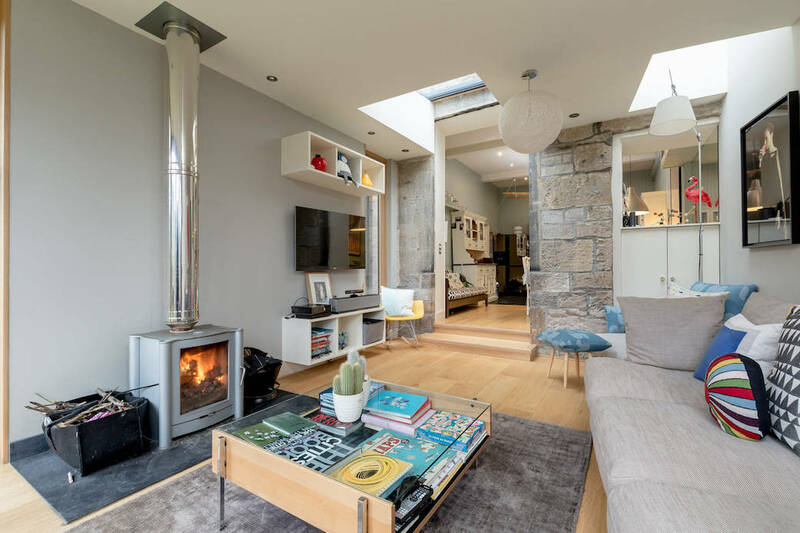 When the estate agent Simpson & Marwick sent me the link to Square Foot Media‘s photography of this Edinburgh apartment, I knew that I wanted to feature this property as soon as I opened the photos of the garden room extension. Situated at the rear of this ground and garden level flat in Clarendon Crescent in the city’s West End, the rest of the property is also impressive – particularly when considering the drawing room on the ground level with its handsome Georgian features or the scale of the master bedroom. It’s just that, to me, the garden room is the space that makes this period property work so well as a family home. 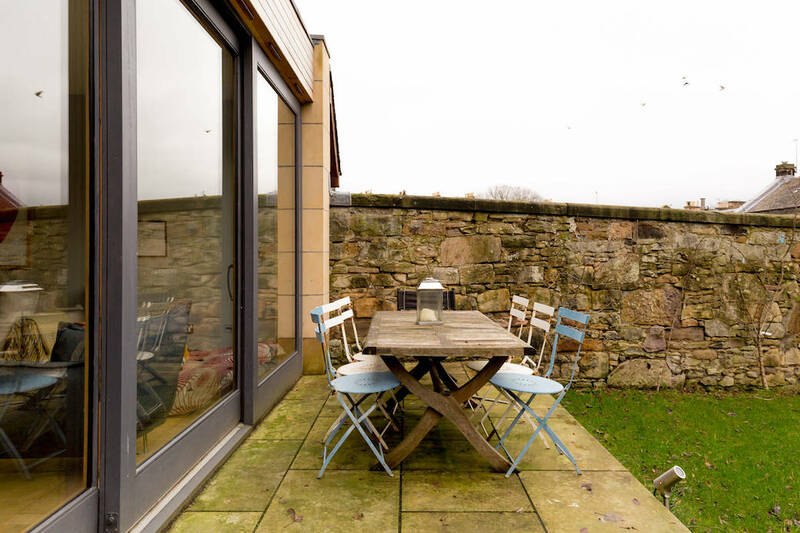 Accessed from the dining-kitchen, this extension has re-orientated the way in which owners Antonia Allan and her husband David live here with their three sons, Eddie, Linus, and Rollo. Now, thanks to the installation of a projector and drop-down screen, the drawing room is primed for movie nights, while the family spend most of their time downstairs between the kitchen and dining space and the garden room. 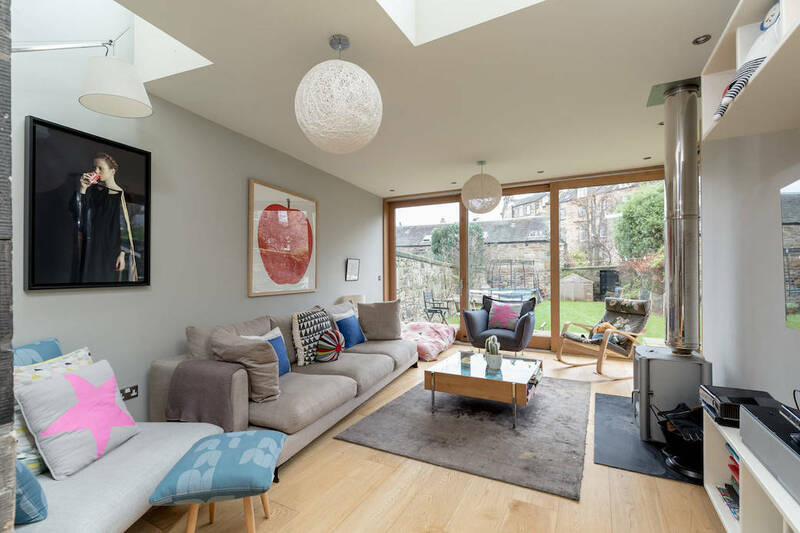 In winter, with the stove lit, this is a snug zone that still pulls in lots of natural light; in summer, with the doors opened up into the garden, this extension has given this property the indoor-outdoor flow it was lacking previously. 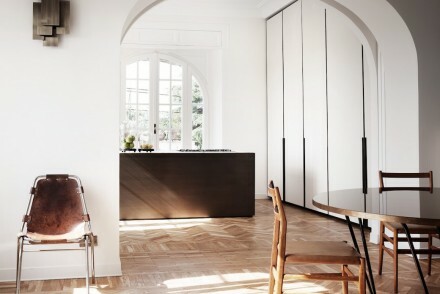 The first area the couple tackled was the kitchen. 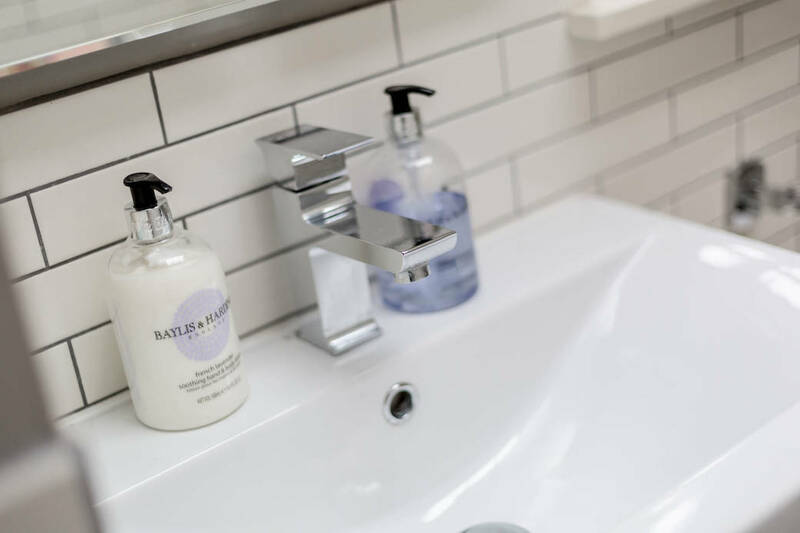 This space alone reflects Antonia’s aesthetic as she loves combining traditional with contemporary design and adding in a few quirky elements. 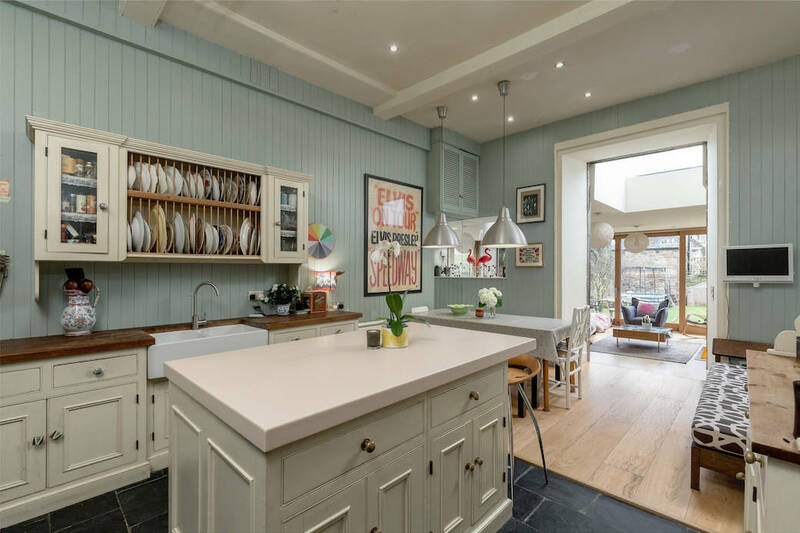 The cabinetry came from Old Pine & Pieces at Fenton Barns in East Lothian and was painted in a soft eau-de-nil shade, with a darker hue transforming the existing timber-clad walls. The floor cabinets are finished in timber worktops, with a classic Belfast sink, while the new kitchen island is topped in Corian, adding a contemporary edge. Antonia picked up the colourful door and drawer handles from Anthropologie. 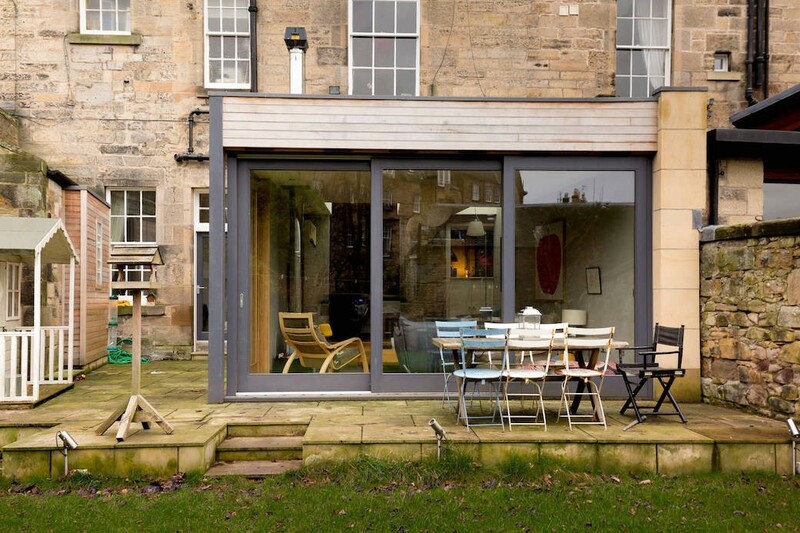 The biggest change came about in 2013 when the couple added the extension. 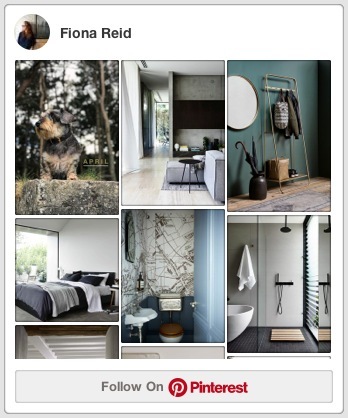 “My taste changed between moving in and doing this extension, so it was good that we waited,” Antonia reflects. 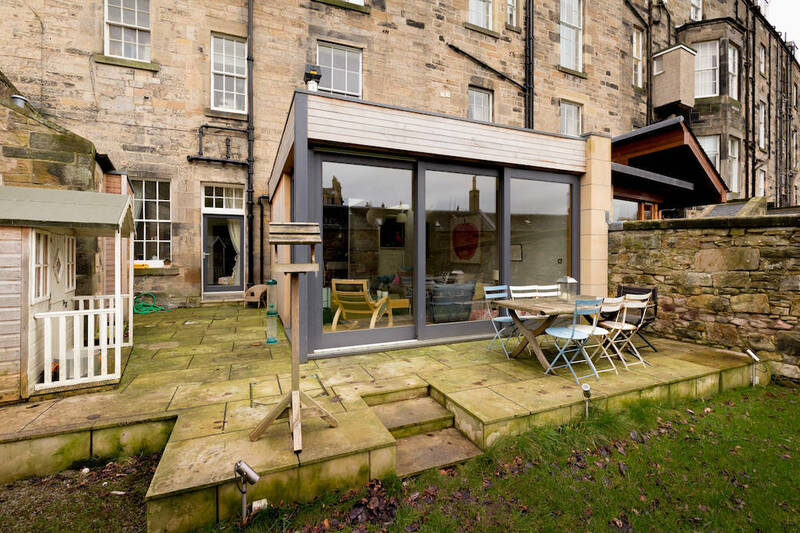 While the kitchen and dining area provided a great family zone, the couple realized that their home would work better with an additional living space on the garden level. 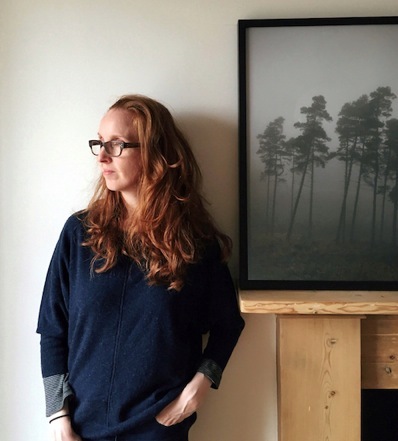 Initially they contacted an architectural draughtsman, “who didn’t really understand the planning regulations or what we wanted,” Antonia says, which led them to contact architect Craig Amy. 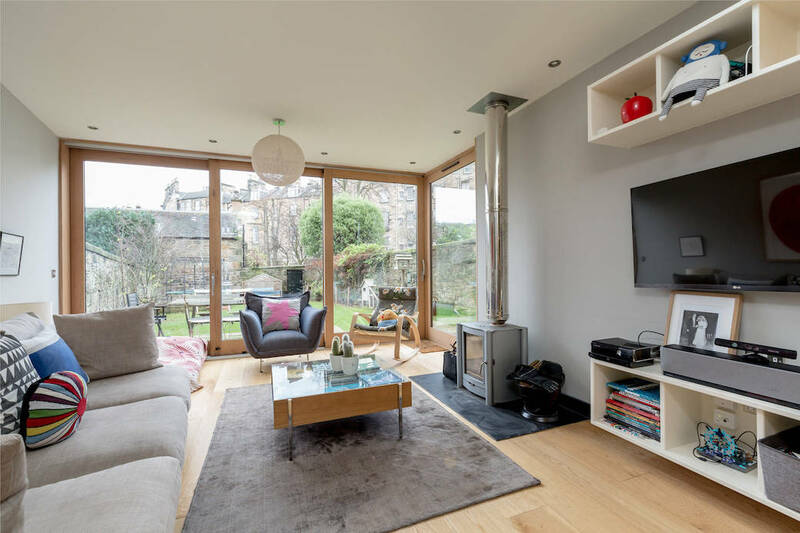 Craig has worked on a number of house extensions including work on listed buildings – this flat is A-listed – and he immediately understood the couple’s brief, which included the creation of a new en-suite for the rear bedroom on this level. 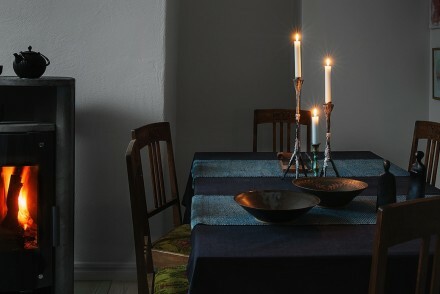 “The solution to natural light was also simple,” Craig says. 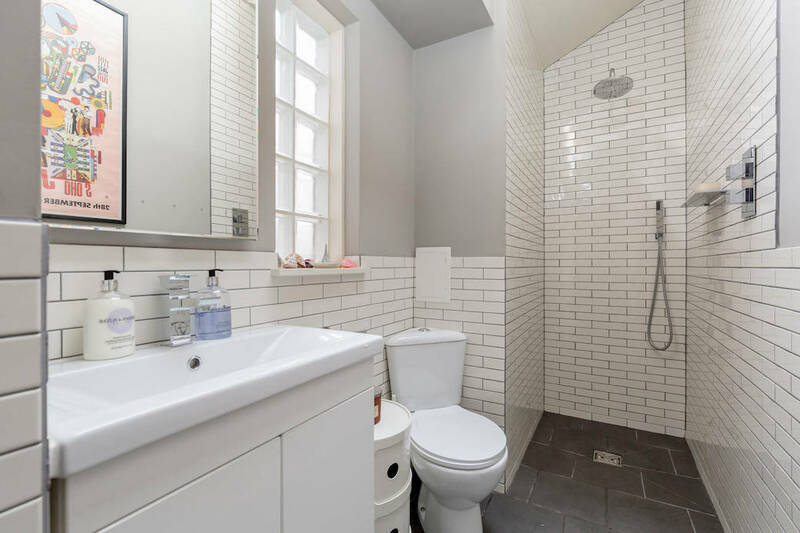 “Rooflights always give the maximum amount of light without interfering with usable wall space and the off-white metro tiles emphasize that further.” This en-suite has such a clever and crisp design, again it demonstrates the value of bringing a good architect on board a project. 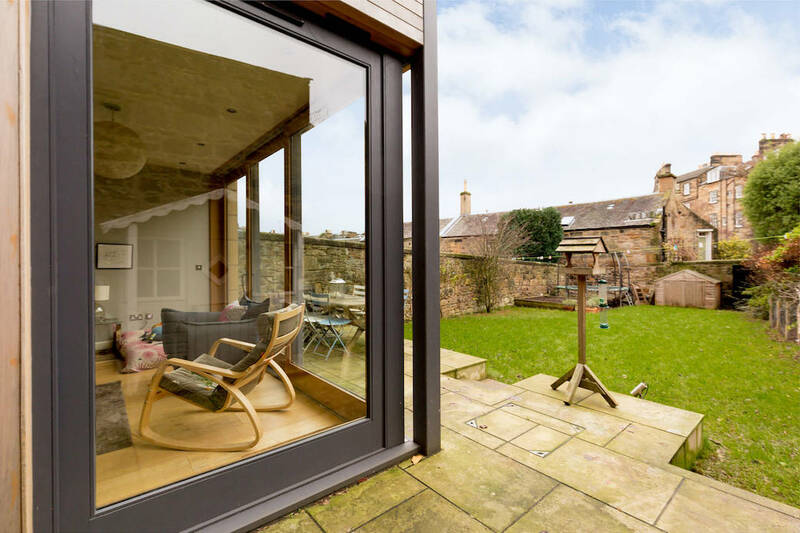 A section of the original rear stone wall has been left exposed within the garden room, highlighting the boundary between old and new, while a mirrored section in the dining area catches the light that comes in through the opening in the rear wall. Again it’s a simple but clever touch. 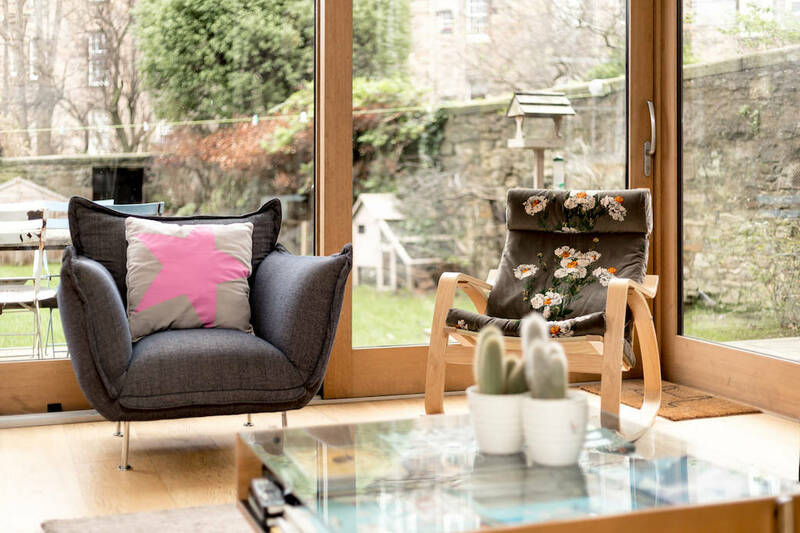 “Adding the extension has insulated the back of the flat and made it much warmer than it was before,” says Antonia, who has furnished the space with a cool mix of contemporary pieces and added colour in the accessories and artworks. 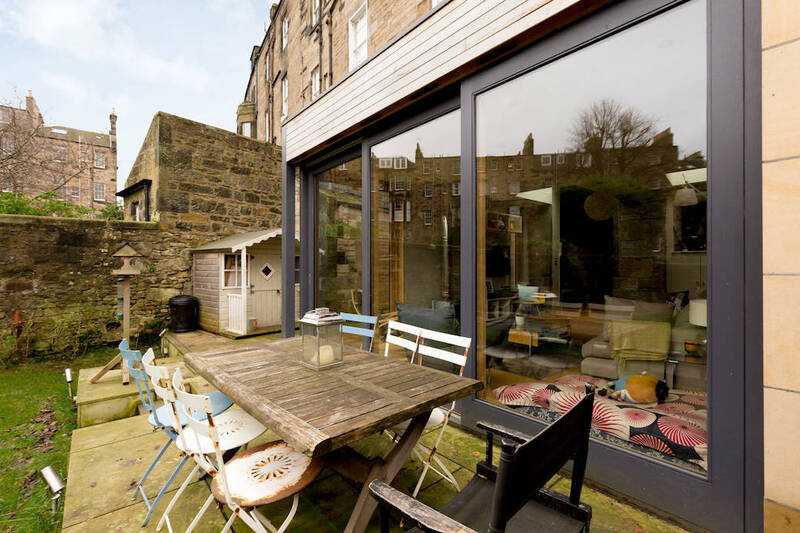 And did this extension help sell the property? 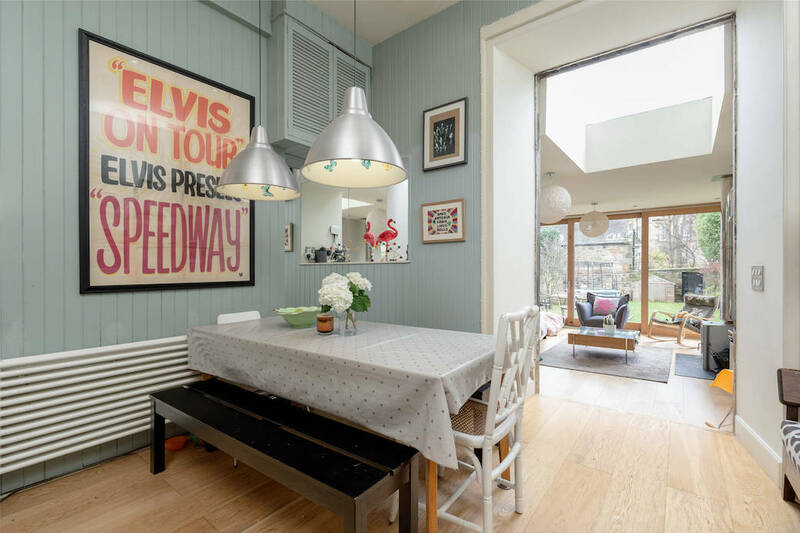 Well, it’s worth mentioning that between receiving the photos and then featuring this apartment in Scotland on Sunday a few weeks later, this property had already gone under offer with Simpson & Marwick and is now sold. 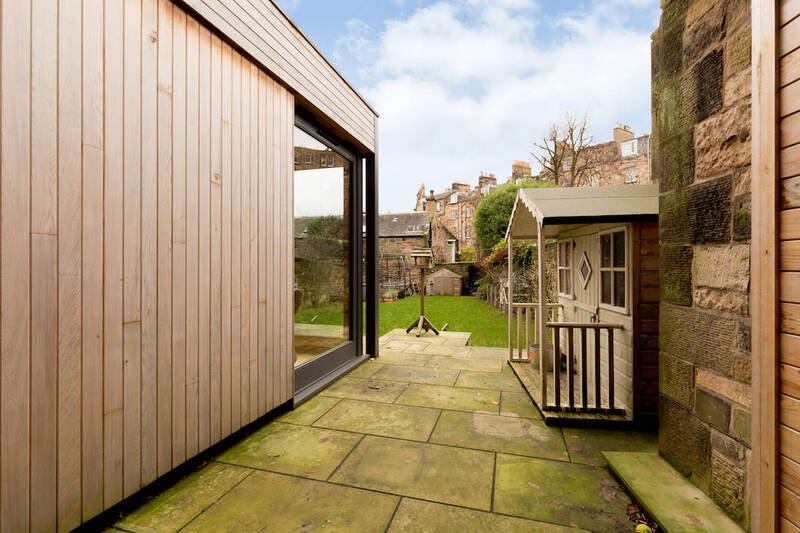 So yes, it’s a great location and address, and a great looking property, but this fantastic garden room must have also played its part in making this apartment stand out. Clarendon Crescent was marketed by Simpson & Marwick. 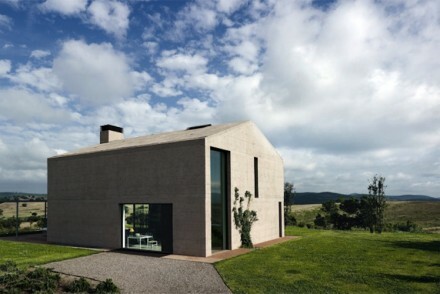 For similar projects, visit Craig Amy.